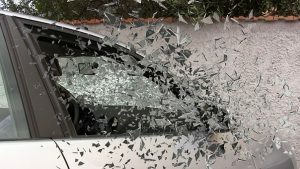 West Dennis, MA (July 2, 2018) – Two people were hurt in a rear-end collision in West Dennis, Massachusetts on Monday. The crash happened on Monday morning at Route 28 near Trotting Park Road at 10:40 am. Dennis police responded to the crash scene. Fire and ambulance personnel also responded upon reports of injuries. Two people involved in the crash were taken to Cape Cod Hospital with injuries. The extent of their injuries are unknown at this time. Dennis police are still investigating the crash. There is no word on any possible charges at this time. The drivers involved have not been identified. There are certain types of injuries commonly associated with rear-end collisions such as this one. Those injuries include, back and neck sprains, concussions and whiplash type injuries. Depending on the severity and speed of the crash, these injuries can be quite severe. If you are injured in a serious accident it is natural to feel as though you are going through a struggle by yourself. Rest assured, you are not alone. At the Law Office of Jeffrey S. Glassman, we help injured car accident victims recover compensation for their injuries to the maximum extent allowed by law. A car accident does not have to leave you feeling like you were victimized repeatedly. We take a tough approach to your case when dealing with the other side and will ensure that your legal rights are protected. We do not give up until you are satisfied with the results that you have received from our firm. Our client-centered approach means that you are our number one priority and we will treat your case as if it were our own.